Recent tomb of Awhadi, Maragha. Awhaduddin Awhadi Maragheie (also written Ohadi) (1271–1338) was a Persian poet from the city Maragha in Iran. He is usually surnamed Maraghei, but also mentioned as Awhadi Esfahani because his father hailed from Isfahan and he himself spent part of his life there. He first chose the pen-name Ṣāfī, but changed it to Awhadi after becoming a devotee of the school of the famous mystic Shaikh Auhaduddin Kermani. Awhadi has a divan of 8000 verses which consists of the Persian poetic forms Qasida, Ghazals, Tarji'bands and Quatrains. The Qasidas are in praise of Abu Said and his Vizir, Ghiyath al-Din, the son of Rashid al-Din Fazzlah. His other poems play on various themes including mysticism, ethnics and religious subjects. He also is known for his marsiyas (elegies) and his Ghazals. In addition to his divan, he has left two important Persian works in Mathnavi. The Dah-nama or Manteq al-Oshaaq consists of 600 verses and was completed in 1307 for Wajih Al-din Yusef, the grandson of the famous Nasir al-Din Tusi. His most important and well known work was the Mathnavi Jam-i Jam ("The Cup of Jamshid) also called Jam-e-Jahanbin ("The mirror of the universe"). It was written in 1333 and has 5000 verses and follows the style of Sanai's Hadiqah. Awhadi died in 1338 and is buried in Maragheh. 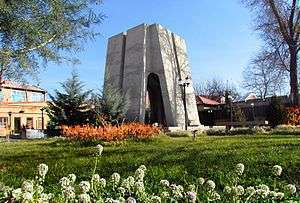 Awhad Maraghai has three ghazals in the old dialect of Isfahan, arranged under the title of "in the language of Isfahan". AWḤADĪ MARĀḠAʾĪ in Encyclopædia Iranica by Dj. Khaleghi-Motlagh.